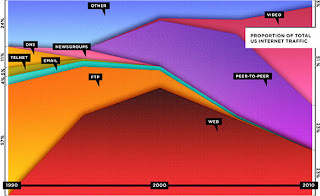 The absolute traffic on internet is rising but the nature of the traffic is changing. Another way to look at this is 77% of traffic on internet is social networking related and supported by advertising based business models.If you are a proxy device for the web and support FTP, DNS, and HTTP then this data point should get you thinking. IDC says the industry spent $16B in 2009 on public clouds. The spending includes HW and SW. Besides the fact that they don't have a network spend category, what stands out is the increase in relative spending in the App Dev category. 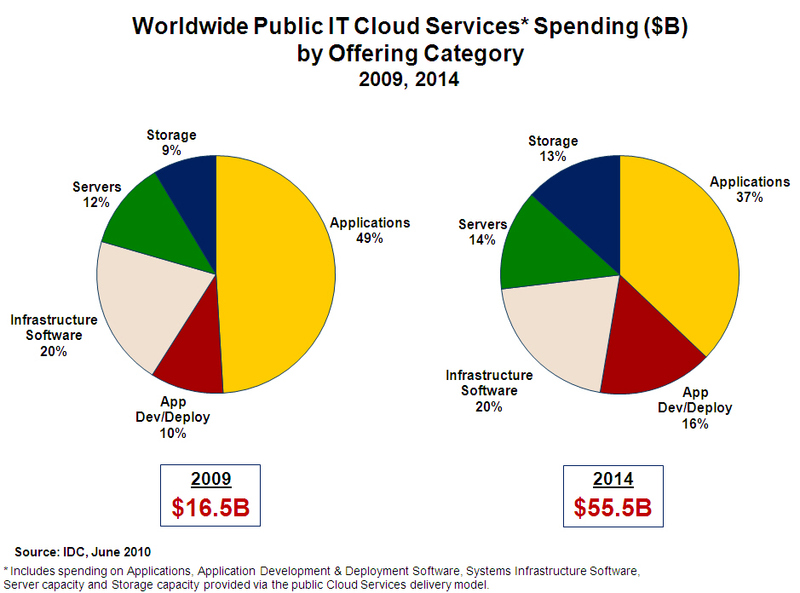 Increase in tooling related spending can means that atleast until 2014, IaaS continues to be the dominant service model. End user spending on tooling suggests an increasing ecosystem of cloud enabling tools that enable hosting and interconnections on various available IaaS clouds. Another stand out is decrease in application spending. If we are to believe the three service models I/P/SaaS then we should be seeing an increase in application spending (also PaaS should decrease the tooling costs). 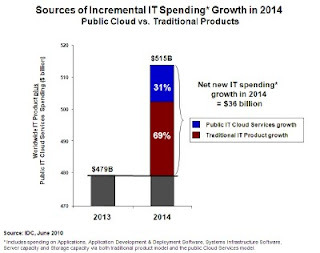 Another interesting data point is incremental spending is still leaning in favor of traditional IT. If in 5 years we are still spendig 2/3rd of incremental dollars on traditional IT, that is not good news for Cloud Apps. Yet another point which was not surprising at all is increase in storage spending. It may also hint at a cloud that is vastly different from ones which we read about in trade rags. Instead of applications on the cloud, we could just be moving to media in the cloud. Instead of end of enterprise IT as we know it, we may be heading to end of entertainment as we know it.